While medical science offers several conservative methods of correcting poor vision caused by corneal issues, some patients may opt for a cornea transplant when these other options can’t help them. Corneal transplants, which usually involve replacing the damaged cornea with one from a human donor, are not always accepted by the body and may require lengthy recovery times, but in most cases they can restore vision to the affected eye. A variety of problems might cause your cornea, the spherical transparent surface at the front of the eye, to stop refracting incoming light properly. These problems include keratoconus (a cone-like malformation in the cornea’s shape), thinning of the corneal tissue, scarring from infections or injuries, ulceration or the clouding of the corneal surface, and a disorder known as Fuchs’ dystrophy. 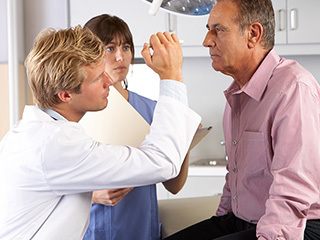 Rarely, complications from laser vision surgery or cataract surgery might also leave you with a malfunctioning cornea.